South Korea was expected to hasten the development of a hit-to-kill missile system that was capable of intercepting incoming missiles in the aftermath of North Korea's successful test launch of a medium range missile. 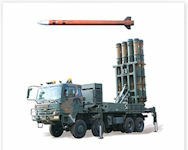 The Defense Ministry initiated a program to develop a middle range surface-to-air missile, codenamed, ``M-SAM,'' in 1998. The ministry aimed to enable the new missile to intercept small targets like missiles. The radar would be developed by Lucky Goldstar, and the combat data system would be jointly created by Lucky Goldstar and Ssangyong. The missile and launcher would be developed by Samsung. The expected date of service was 2010, same date when HAWK systems would be withdrawn from service. 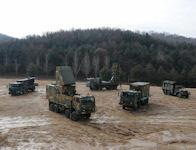 South Korea was trying to enlist the technological help of Russia in the development of the M-SAM in such areas as electronic guidance. 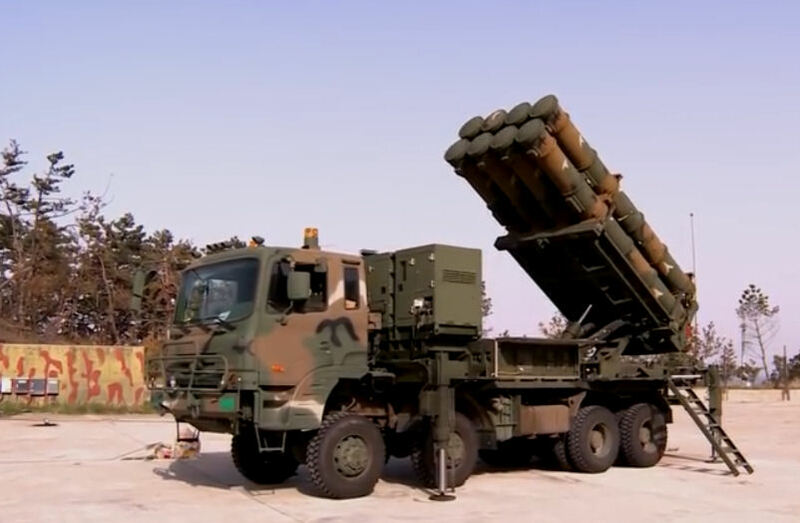 The M-SAM program was aimed at developing a missile which has a striking range of 30 to 60 km, in order to replace the existing Hawk missiles that form the backbone of Korea's anti-aircraft system along with its Nikes, which have a range of 150 km. Following the Taepo-dong test firing, lawmakers demanded the beefing up of the nation's anti-missile attack capabilities when the National Assembly's defense committee was called into session in the aftermath of the North's missile test launch. Initial plans called for the investment of a total of 200 to 300 billion won in the development of the M-SAM by 2008. To counter the growing threat posed by North Korean ballistic missile, the missile to be developed would be able to intercept a missile, a function its predecessor doesn't have. The model ROK was trying to emulate in the M-SAM development was Russia's S-300 missile. 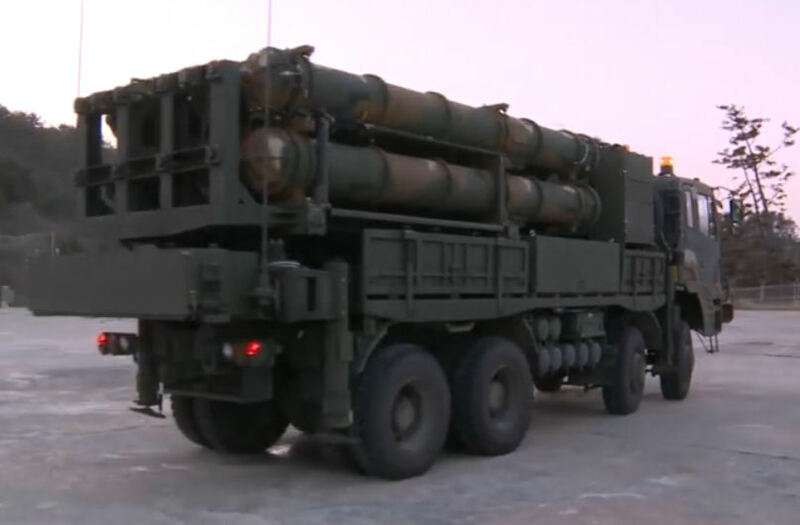 The final product would be like the S-300 but shorter in range. Korea and Russia have established a technology transfer agreement in the military field. In 1997 members of the US Congress voiced deep concern over the possibility that South Korea may procure Russian S300 systems for air defense as opposed to the U.S. Patriot system. They argued that the Patriot possessed superior radar and engagement capabilities and requires less manpower to operate and maintain. Most importantly, acquisition of the Patriot ensures interoperability with other assets assigned to U.S. Forces, Korea enhancing the overall safety and combat effectiveness of U.S. and allied forces. Considering the almost half century relationship between our two countries, and the closeness with which our troops train together, it would be most unfortunate for South Korean allies to procure a non-U.S. air defense system. In May 2006 it was reported that the country's weapons acquisition agency announced that it would start a W625 billion project to develop middle-range surface-to-air missiles, code-named "M-SAM," in June 2006. The Defense Acquisition Program Administration (DAPA) approved the project, which would enter service in 2010, a spokesman of the agency said. The missile would be co-developed by about 15 Korean defense firms and Russia which would give technological help in such areas as electronic guidance, he said. The M-SAM program, initiated in 1998, was aimed at developing a missile capable of hitting a target of 30 to 60 kilometers away, replacing aging Hwak missiles. Hawk missiles with a striking range of 150 kilometers, have been the backbone of South Korea's anti-aircraft system. To counter the growing threat posed by North Korean ballistic missile, the Air Force also plans to buy 48 advanced Patriot missile interceptors to replace the existing Nike Hercules missiles. In 1998, North Korea successfully test-fired its Taepodong-I missile, which flew over Japan and landed in the Pacific. South Korea gave the green light for the development of the Cheolmae II surface-to-air missile (SAM). This project could cost KRW498.5 billion (USD1=KRW944) through 2011. This system would be capable of engaging aircraft and missiles. The South Korean Ministry of National Defense also plans to build the THAAD system, capable of intercepting high-altitude ballistic missiles. For this purpose, the South Korean Ministry of National Defense was promoting the work of improving the intermediate-range Cheolmae-2 surface-to-air missiles to the level of the upgraded S-400 type of ballistic missile interceptor system (Cheolmae 4-H). 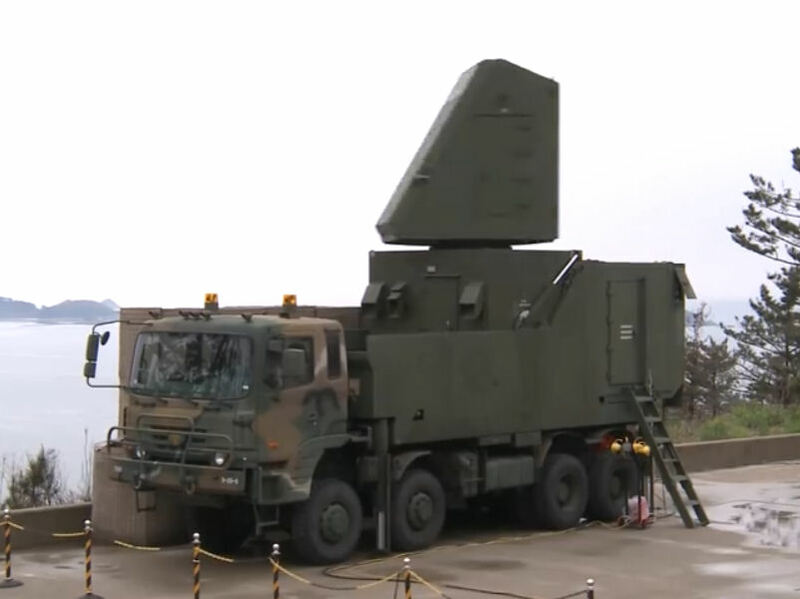 The ROKN was interested in developing Cheolmae-2, also called M-SAM, land-based SAM system for shipboard use. The Cheolmae-2 missile itself was a variant of the Russian 9M96 missile of S-400 system and its fire control radar was an X-band rotator. Almaz of Russia was building two fire control radar prototypes as of 2007. The M-SAM program was aimed at developing a missile which has a striking range of 30 to 60 km, in order to replace the existing Hawk missiles that formed the backbone of Korea's anti-aircraft system along with its Nikes, which have a range of 150 km. The Hawk units were still reliable though antiquated, but the Nikes were totally worthless. The HAWK surface-to-air missiles were located in 110 launchers deployed over 24 sites and at major air force installations. The Hawk was due for retirement in 2010. South Korea planned to produce indigenously-developed surface-to-air guided missiles next year to gradually deliver them to the military starting in 2015, military sources said 10 September 2012. The medium-range surface-to-air missile (SAM) system, now called "Cheongung" (Iron Hawk), was unveiled in 2011 after a five-year R&D program by a consortium of 15 South Korean defense firms in a bid to beef up the country's air and missile defense. The state-run Defense Acquisition and Procurement Agency (DAPA) planned to sign a deal later this year to enter into production in 2013. The military would begin fielding the missiles starting in 2015 and complete it by 2018 or 2019. Cheongung can intercept targets at an altitude of up to 15 kilometers and at a range of about 40 km, and simultaneously attack several targets with a multiple radar system. Korea will deploy indigenous surface-to-air guided missiles by the end of this year as testing has been successfully completed, according to the Defense Acquisition Program Administration (DAPA), 30 July 2015. "The Defense Agency for Technology and Quality (DTaQ) successfully conducted the quality certification firing of the Cheongung in late July," said the DAPA in a press release. "Mass production will begin in earnest this year following the completion of the quality-certification process." A DAPA official noted that the product received a pass mark if it hit its target twice out of three test-fires. The South Korean military reportedly deployed the newly developed anti-aircraft missile system along the maritime border in the Yellow Sea in March 2016. The surface-to-air guided missile system, known as Cheongung, was deployed in the northwest islands early in 2016 to defend against North Korean aircraft. Cheongung, the medium-range surface-to-air missile (SAM) system, was developed in 2011 by LIG Nex1 to replace the Air Force's aging hawk missiles in order to beef up the nation's air and missile defense. South Korea had almost completed development of a key weapon for the Korean Air and Missile Defense system. A military official said on 16 April 2017 that the development of a mid-range surface-to-air (M-SAM) missile system is in the final stage with all tests completed. The official said that the military will assess the missiles’ suitability for combat purposes in May 2017. M-SAM missiles reportedly satisfied the required operational capability of the military, including the interception rate. 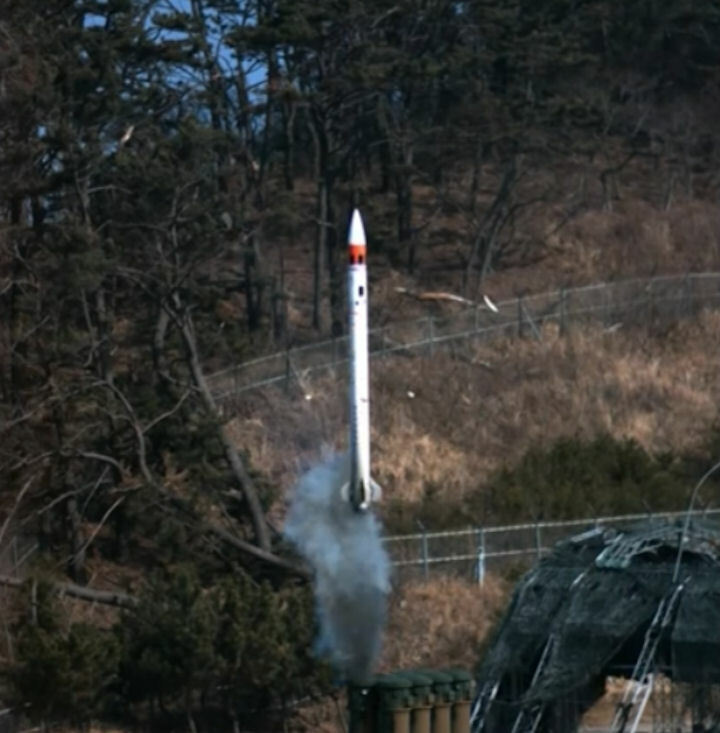 M-SAM is a hit-to-kill missile that can intercept incoming missiles at an altitude of 20 kilometers.